Cameron: The exchange between Tryon and Jamie- they are sizing one another up, letting one another know neither one has all the power, and this is all done through their verbal exchange and nonverbal cues by the actors. I thought it was really a well-written and well-played scene. Susan: I loved when Roger called to talk w/ Bree about the fire–the look on his face when it dawned on him that Bree had gone to Scotland so she could–well, that could be a spoiler, so I’ll just stop right there. Nancy: When Adawehi tells Claire she is the White Raven and will reach her healing potential when her hair turns white. How exactly will this happen? Will it take place in book nine or ten? I like a mystery. Mitzie: Intro scene for “Common Ground” where we watched some of the Cherokee dress. The accompanying music by Bear was spot on. It gave me chills! Harmony: The best moment from Episode 4 was when Roger found Fraser’s Ridge in the book Bree had given him & then received more information about it from the author. I loved the voiceover of him reading about The Ridge as the scene carried back to Jamie & Claire in NC. Tara: “Our bed will be over their facing east where we can watch every sunrise” and They can finally have a home and a bed of their own. It is so comforting. Cameron: When Gov. Tryon tells Jamie that he’s just the sort of settler NC needs. Jamie is such a strong character and this gives him the chance to be the laird he always hoped to be, so it’s good to see someone in power recognize the value in that. Until now, Jamie has never been validated in that way by anyone who could do anything to facilitate it. Susan: When Jamie tells Tryon “Savagery can exist in many forms…I’ve witnessed it in both prince and pauper,” it hit me that it still rings true, and has been as long as man has existed. Nancy: “I canna say what it is to for me to feel the rightness of this place…The mountain spoke to me.” I just wanted him to add, “If I’m to live as a man I must have a mountain” from the book. I love lines from the book. Mitzie: When Jamie gives Tryon is own quote back; “There is the law, and there is what is done”. Oh my! Governor Tryon is so impressed and thinks he has him at an understanding when in fact he has no idea. Harmony: My favorite line or technically lines are “The moon was in the water, and you became a white raven. You flew over the water and swallowed the moon. The white raven flew back and laid an egg in the palm of her hand. The egg split open and there was a shiny stone inside.” I loved this exchange in the book & loved it just as much in the show. Cameron: Sam- it’s nearly always Sam for me. 😉 Though John Bell is wonderful also, and I live his inquisitive enthusiasm for the new world as Ian. Susan: I love Tantoo Cardinal–I loved her in Legends of the Fall, too. Nancy: I would like to give a shout out to Flint Eagle, the man playing the bear. Staging the fight scene takes a lot of coordination, but fighting with a bear skin and big claws attached to your body had to be difficult. I also thought he did an admirable job portraying a bear. He gets the Andy Serkis Award for believable non-humans on the screen. Mitzie: Gotta give it to Sam for this one. We got to see him put on his diplomatic face for Governor Tryon, his fierce face when he was protecting his family and his “true to his word” face when giving his oath to the Cherokee for being a peaceful neighbor. Harmony: My favorite actress was Tantoo Cardinal! This was the perfect casting & she was wonderful! Tara: The bear being a man/bear. I mean I assume it would be hard to fill Jamie battling a bear. The CGI probably would have been hard and no so believable. Some things are better left to the imagination from the books. Cameron: When it turned out not to be a real bear attacking the ridge. I’d imagined the scene more literally from the book and had envisioned something along the lines of the end of Legends of the Fall. It’s a surprise, especially after they set up book readers for a real bear with the droppings, cleaning fish, and horse being clawed, but it still got the to the point of forging a relationship with the Cherokee. Susan: I wasn’t really surprised at anything, but was surprised at how the whole how-Jamie-got-his-Cherokee-name concept. At first, I was like, “Y’all are messing this up,” but then it all came together. I liked how they were able to compress it all–that was a change I liked. Nancy: I would have to say the whole change from real bear to manbear. It worked, but I wasn’t sure how they would pull that off. Mitzie: Seeing a vulnerable side to Marsali. She gave a wonderful performance in such a short clip. I almost wanted to give her the Best Actress award for this episode because of her genuine expressions towards Claire during their conversation. Warmed my heart to see Claire and Marsali hug! Harmony: The most surprising moment of this episode was definitely the man bear! I can honestly say that I never would’ve guessed that they’d play it out that way. Tara: Jamie and Claire with the help of Ian starting to build Fraser’s Ridge. I can’t wait to see what’s ahead! I love seeing everything that I have in my mind on the screen! Cameron: I love that Jamie was always sure to make it abundantly clear that he had no grudge with the Cherokee. I think the episode showed the tension of the situation and fear of the unknown, but always showed the Frasers as respectful cohabitants of the land. Susan: I love that the Frasers are finally home, and forging ahead, in spite of the adversity that is always surrounding them. How they stay so in love, I don’t know, because every time I’ve moved, I’ve wanted a divorce. Nancy: I liked seeing everyone working to build the cabin. When I read the books, I never pictured Claire using an ax or helping guide Clarence as he pulls a log. That falls in line with her character. Mitzie: The introduction to the Cherokee. The whole vibe of their appearance in this episode was wonderfully done; both in presence and in their attire. Harmony: I think what I enjoyed most about the episode as a whole is that we’re seeing Fraser’s Ridge finally come to life! Tara: #2, False Bride has been my favorite so far. Cameron: This probably 2nd for me. Last week (403) is still probably my favorite, followed by 401 as 3rd and 402 as fourth. 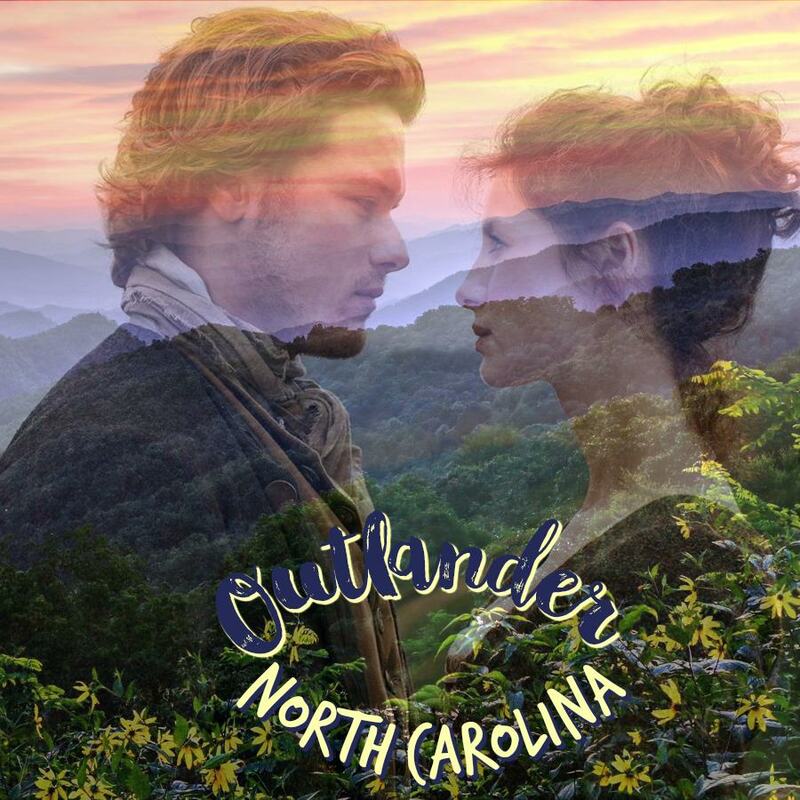 I’m very excited now that they are in NC, and as they develop relationships in the area, the story gets into historical territory I love in the books. Susan: My rankings this season, from 1-4: 403, 404, 402, 401. The “home” episodes are ranked first, because that’s what I’ve been waiting for. Can y’all tell that I’m a homebody? Nancy: I would rank it as number 2 and 303 as number 1 because the White Sow was scripted to make an appearance as a piglet but didn’t make the final cut in 404. Harmony: I’d rank this episode as my 3rd favorite so far. Although I enjoyed it, it was a bit slower moving than I prefer. So, now that we’ve voted, what about you? Agree? Disagree? Tell us in the comments who or what gets your vote for “Best” Awards for Episode 401.4, Common Ground. Leave it in the comments! ………And a mountain ye have finally found. We start off episode 403 in 1970 Inverness with Roger playing his guitar (swoon) then handing the keys to his childhood home over to Fiona and her new husband. “I may not read tea leaves like my grannie…..But I can see ye’re in love with her”, ummm yasss Fi, you tell him! What a great start to this episode, I have certainly missed seeing Roger & hearing that accent, as I’m sure many of us have. We’re then transported back to River Run where Jamie & Claire are bidding farewell to Aunt Jocasta. This was my only issue with the entire episode, the addition of the unneeded conflict between Claire & Jocasta. Again, the harshness of Claire’s attitude is not something that I’m fond of regarding the series, however I was happy to see that it quickly dissipated once River Run was out of sight. On another note, I don’t think I can put into words how much I adore John Bell as Young Ian. He has fully filled the roll in my opinion & is an absolute joy to watch! Listening to him plead his case to Jamie on why he should be permitted to make his own decision regarding the place he will call home, was no exception. Fantastic! Now on to what I’ve been waiting for all season, yes I know we’re only just now three episodes in, but I have been looking forward to this since reading DOA this past summer. Bree & Roger are reunited once again & on their way to Grandfather Mountain in North Carolina. I loved the parallel of them being in present day N.C. while her parents are also in 18th century N.C.! A slightly awkward and tad stiff performance from Sophie in season three has been replaced by a confident & completely natural embodiment of Bree in this episode. I mean, she totally killed every scene she was in & I couldn’t be happier! The looks between the two, the chemistry, the flirting, the “Minister’s Cat”, the passion, the fight, was all done seamlessly! These two have already brought some of my favorite parts from DOA fully to life and there’s so much more in store. I of course can’t conclude my thoughts on Roger & Bree without mentioning the performance! I was completely lost in Roger’s voice as he sang, and Bree’s expression perfectly mimicked every other woman’s face at the festival, including my own, while he serenaded us all. I had to apologize to my hubby for the sighs of delight that were coming from my mouth as I briefly forgot that he was sitting right there next to me. Luckily he doesn’t mind my Outlander/Jamie/Roger obsession. Although, it’s more lucky for him than it is for me, because no amount of disapproval could come in the way of my ultimate swooning over Roger’s voice, both singing & speaking. Back to our two main characters, Jamie & Claire who are now wandering the woods for a place to call home. Otter Tooth & his skull made their appearance much sooner than I had imagined albeit I fully enjoyed how it was handled within the episode. The scenery was absolutely beautiful and very reminiscent of trails that I’ve personally found myself on since making North Carolina my home. “Jamie look, strawberries”, Claire calls out to Jamie which was all the sign he needed to realize that they had finally found home. A home soon to be called Fraser’s Ridge. To say that I enjoyed this episode would be a vast understatement! The show once again has sucked me in and I found myself wishing it was much longer than a mere 62 minutes. This has now made my anticipation for what’s yet to come even more extreme, please excuse me while I shout “BRING ON THE TIME TRAVEL!” Harmony was born and raised in Ft. Lauderdale, Fl, but found her forever home in the mountains of North Carolina in 2017. She is married to her “Jamie” and the mom of two boys whom she homeschools. Harmony discovered Outlander while Season 2 was showing on Starz, and instantly fell in love with Jamie and Claire’s love story. I’m her spare time, she enjoys being with her family and getting outside to explore their new home in the mountains.